Ranch at Deer Creek retains all its natural beauty as former ranch land. Previously the old ranch that was home of University of Texas' famous longhorn, Bevo! This family community is designed to help you build the life you deserve with the most essential amenities while keeping you close to excellent schools, shopping, and major business centers. Deer Creek elementary school is located within walking distance of most homes, and Cedar Park high school is also within walking distance of most homes. 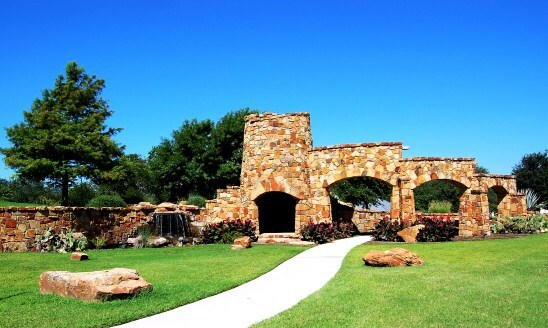 The Ranch at Deer Creek is also located in the City of Cedar Park , and just a few blocks from the Elizabeth Milburn park and community pool. Entertainment is close by at the new Cedar Pak Events Center, as well as the new Williamson County Regional Park. Ranch at Deer Creek is convenient to shopping places such as Lakeline Mall, 1890 Ranch in Cedar Park, Round Rock Outlet Mall, The Arboretum, The Domain, and Wolf Ranch in Georgetown. It is also only 5 minutes from Lake Travis. Commuters have a fairly short commute into Austin, Cedar Park, Georgetown, Leander, Liberty HIll, Round Rock, Pflugerville, and Lakeway. Homes for sale in The Ranch at Deer Creek typically run from the low $200's-$400's.